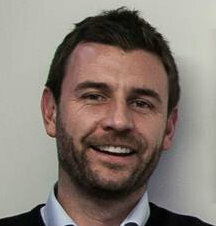 Martin O'Toole, former CEO and founder of Leeds agency McGrath O'Toole, has joined Coolpink as commercial director. O'Toole left his previous agency by mutual agreement in May. He had previously helped to found Home Marketing. His role at Coolpink will include responsibility for all client services, strategic delivery and new business. Mark Bower, chief executive and founder of Coolpink, said: "We're delighted to have attracted Martin to the business, following his departure from his former creative agency last month. "Martin has been given a serious and wide remit to help grow our business, and we're all very excited about the opportunities that lay ahead of us as a management team."